FOR IMMEDIATE UP TO THE MINUTE SPECIAL OFFERS AND DISCOUNTS, RING VICKI FOR DETAILS. 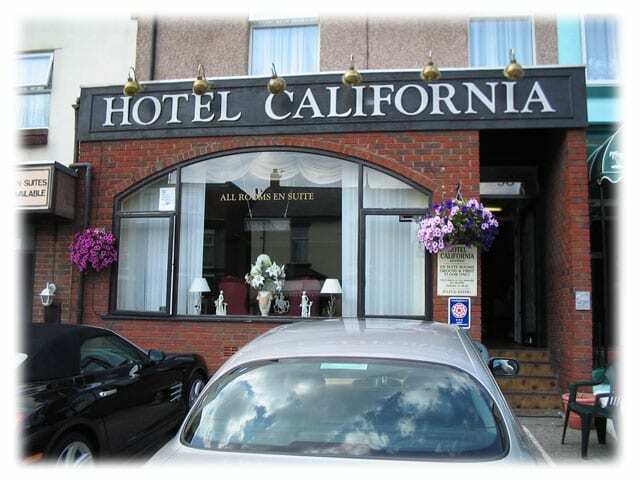 The Hotel California is a family run hotel under the personal supervision of the resident proprietors, the Roberts family. As the winner of Visit Britain and Green Tourism awards and reviewed by it’s customers as “A lovely Hotel who know how to accommodate in style, our main aim is to make your stay as pleasant and comfortable as possible. We are situated in central Blackpool and in easy reach of Blackpool Tower, Central Pier, The Winter Gardens, The Grand Theatre, Hounds Hill Shopping Centre, The Cinema Complex, The Sea Life Centre as well as all the night life and other attractions offered by this wonderful resort. The promenade and beach are only a stroll away! 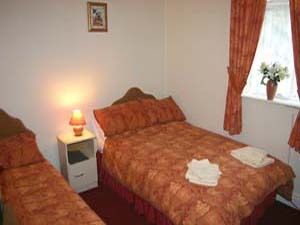 This hotel is ideal for couples and families visiting Blackpool (we do not accept Stag and hen parties). Our Bedrooms At Hotel California we have a variety of single, double, twin and family rooms to suite our guests requirements. All of our rooms are ensuite, with colour televisions, central heating and tea making facilities.We also provide you with your own key for both your bedroom and the hotel, so that you can come and go as you please. 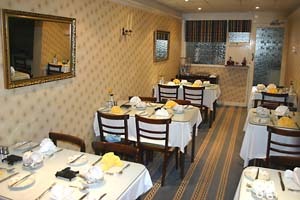 Our Facilities In our relaxing dining room we provide a full english breakfast to get your day off to a delicious start. We also offer evening meals served at 5pm but please remember to pre-book with us. We can cater for vegetarians and other special dietary needs with prior notice. 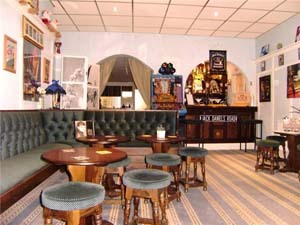 Hotel California boasts a fully licensed bar which is well stocked with a variety of beverages to quench your thirst. Parking is available at the front and rear of the hotel if needed but please contact us for details as availablity is limited. Place Categories: Central Pier, Central Pier Couples, Central Pier Groups, Tower, Tower Couples and Tower Groups.